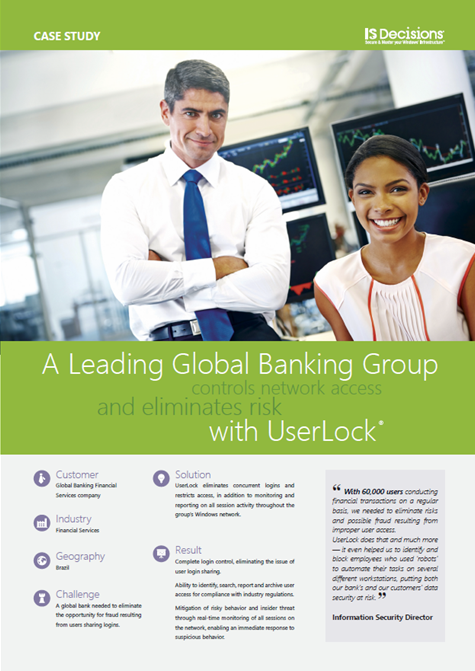 CIAB FEBRABAN offers Financial Institutions a look at UserLock. Home / Company News / CIAB FEBRABAN offers Financial Institutions a look at UserLock. IS Decisions together with our distributor Symmetry, are currently represented at the CIAB FEBRABAN, the Congress and Exhibition of Information Technology for Financial Institutions, taking place in Sao Paulo, Brazil. Held between the 12th and 14th of June, this year’s edition of CIAB FEBRABAN takes place under the theme “The New Challenges of the Financial Sector”. Recognized as the largest event for the financial sector and technology in Latin America, the congress and exhibition brings together technology supplier companies with bank and financial representatives from Brazil and abroad. Symmetry who are participating in the event for the second year are exhibiting solutions intended for network security which include UserLock, the access security and management software produced by IS Decisions. Recognized nationally for their solutions and expertise in network security, identity management, data protection and network monitoring, Symmetry is rapidly expanding its operations with the opening of a new branch in the Northeast of the country. 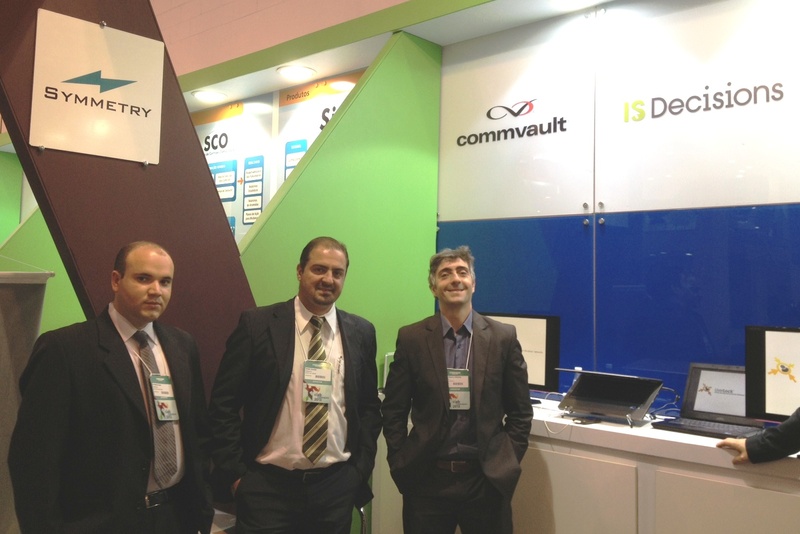 Read a news article (in Portuguese) about Symmetry’s attendance at the CIAB FEBRABAN event. With the CIAB FEBRABAN event focused on the challenges that face the financial sector, UserLock enables financial organizations to strengthen their network security and mitigates against the increase in insider threats. Distributed in Brazil by Symmetry, UserLock has been adopted by several major players in the financial sector. Like all IS Decisions software, UserLock is simple to use and easy to install. It offers integrators such as Symmetry a critical tool to help their clients set up user access policies for securing a highly distributed organization. Having worked closely with Symmetry for nearly 10 years IS Decisions relies on such partners to address emerging customer opportunity in dynamic and rapidly changing markets. Thanks to our partner network, our geographical reach is expanding and such long-term strategic partnerships are an important aspect of our business strategy. A fully functional 30day trial of UserLock is available for download. Lorena is Channel Manager at IS Decisions, a Software Vendor specializing in Infrastructure and Security Management solutions for Microsoft Windows.